Let us not exaggerate — nor prematurely announce — the death of a subsystem. However, the demise of the U.S. Nationwide Differential GPS (NDGPS) network can be confidently foretold. Although a Federal Register notice dated Aug. 18 merely seeks public comment on plans to shut down a large portion of NDGPS, the handwriting is on the wall. Once having writ, the hand of fate moves on. We should neither lament nor applaud. NDGPS, like many other technologies, has seen its time come and go, while competitors have arisen to perform its role and take its place. Such is evolution in the industrial world as well as in the biological kingdoms. In 2016, three quarters of the currently operating NDGPS reference stations will be taken down and decommissioned. That’s not what the federal notice states, but that’s what it effectively says. The document’s comment period ends on Nov. 16. It is difficult to conceive of a public outcry that might reverse the intended course of the U.S. Coast Guard, Department of Transportation and Army Corps of Engineers. The NDGPS network had its birth in the 1980s, as a tool to provide real-time positioning accuracy for harbor entrances and coastal navigation. Inland components were added over the years to improve river navigation, NDGPS use in precision agriculture began to grow, and a role in railroad positive train control (PTC) was much discussed. But all these efforts could not gather enough momentum to firmly establish the network’s viability. 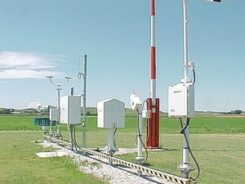 Meanwhile, satellite-based differential services from both commercial providers and the U.S. government’s own Wide Area Augmentation System (WAAS), and a network of continuously operating reference stations (CORS) from the National Geodetic Survey continually nibbled away at NDGPS’s potential customer base. Consequently, industry fielded a meager range of radiobeacon DGPS receivers. The real death blow came in 2013, when the Federal Railroad Administration (FRA) eliminated an NDGPS requirement from its PTC program. The railroads, never a nimble industry nor one receiving the governmental support it enjoys in other countries, had by that time become the last hope of NDGPS. Ag users had already for the most part moved over to WAAS and commercial SBAS providers. Marine users did not by themselves form a sufficiently large constituency, and even they were not fully equipped nor wholesale adopters of the system. The story of Loran bears some similarities to NDGPS, but Loran now enjoys a resurgence that NDGPS will never see. It is destined for the technological graveyard. 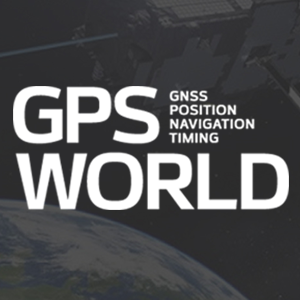 There is an ecosystem of positioning, navigation and timing (PNT) tools and applications. Operating in a free market, with some measure of governments’ interference and manipulation, it has its own patterns of natural selection. We will continue to see the rise and fall of species. NDGPS has now been branded a dinosaur. It will be interesting to see how other technologies, competing for the same finite range of resources, will interact, thrive, or decline.